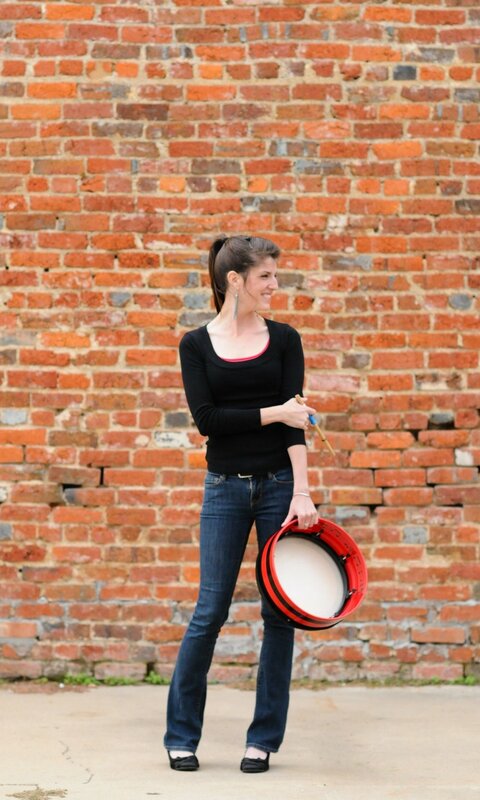 Cara Wildman is an experienced and well-respected percussionist, pianist, dancer, and bodhrán player that hails from Dorchester, Texas. Cara’s talents have led her to perform in a variety of musical ensembles and genres around the world including in Puerto Rico, Argentina, Ireland, and across the United States. She earned her Bachelor's and Master's degrees in Music Education from Texas Christian University, and continued on to complete a second Master's in Irish Traditional Music Performance from the University of Limerick, graduating with honors. While in Limerick she was fortunate to study with bodhrán greats Jim Higgins, Eamon Murray, Colm Murphy, Martin O’Neill, Colm Phelan, Cormac Byrne, and Junior Davey. Cara has taught in a variety of educational settings including: director of percussion for the The B Sharp Youth Music Program, front ensemble consultant in Keller ISD, and private percussion instruction/freelancing in the DFW area. Cara is an active teacher, adjudicator, and performer, and spends her free time fishing and riding her horse Rocket at the 5W Ranch in Dorchester. "Cara Wildman is a talented percussionist with a wide diversity of experience...she continually challenges her technique and style of playing in this context and is set to make a great contribution to the tradition." "Cara Wildman's bodhran playing is informed by her appreciation of the melody and it's subtleties. Here is the making of a fine musician; not just a percussionist, but a contributor to the weave." "Cara's understanding of rhythm and syncopation is more or less absolute. Her accomplished execution of complex time signatures makes her technique seem effortless. Cara supports and reinforces the music she accompanies with what can best be described as great taste, which bespeaks an overview of the music and her part in it. As an artist, she can be immersed in her playing while retaining perspective on its contribution to the music. The development of the bodhrán is an exciting work in progress. I think Cara is at the front edge of this development, and I suspect her musical talent extends well beyond her brilliant playing of the bodhrán." "Cara is a highly skilled percussionist across multiple genres ranging from Irish to Classical and everything in between…"
"It was a real pleasure to work with Cara. Her musicality and understanding of rhythm/spacing really shone through, as well as her ability to take on new information and process it with great efficiency. 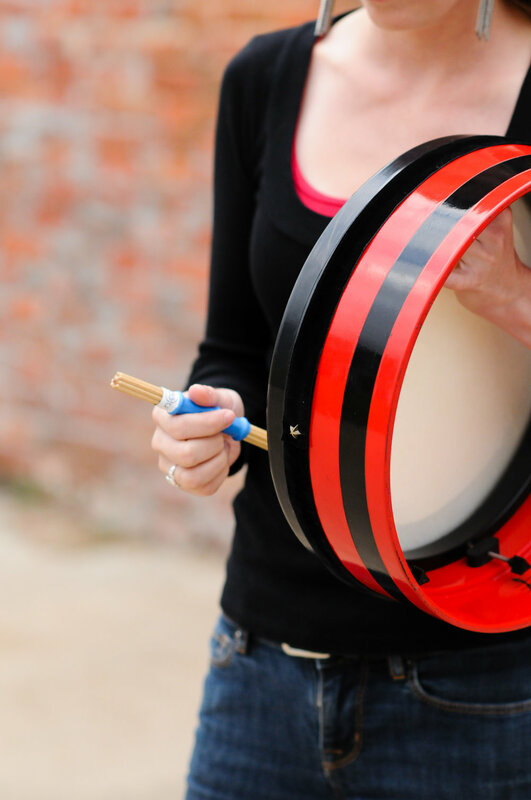 I've no doubt Cara will be a huge addition to our great network of bodhrán players." "Cara is a gifted player; she's extremely technical yet so sensitive. She has class in her playing that only comes to the most musical amongst us. 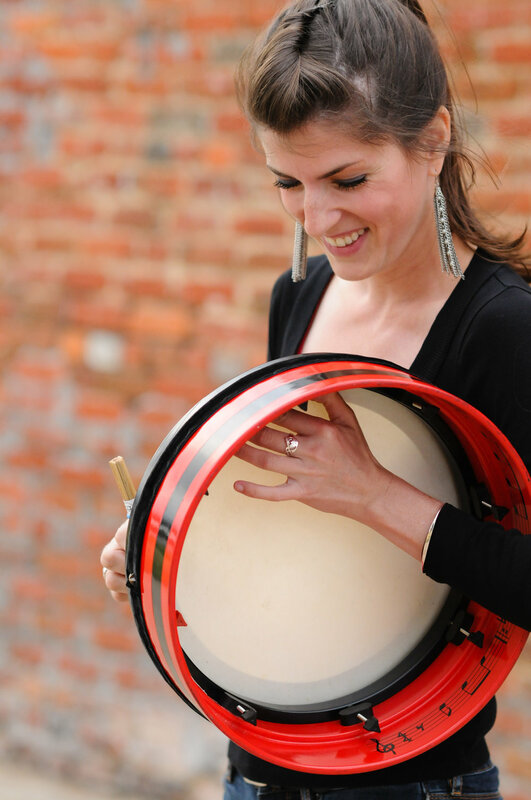 An amazing drummer, pianist, percussionist, etc..."
"Cara Wildman’s bodhrán playing is unique and innovative, informed by a wider knowledge of percussion and combined with an excellent understanding of the Irish Tradition." "Good bodhrán players are worth their weight in gold. Maybe more than your weight in your case..."